Cleartec® Biotextil is a textile growth media for microorganisms and is installed to upgrade or improve municipal and industrial wastewater treatment plants. 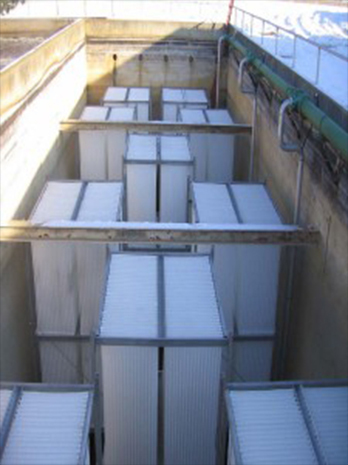 Furthermore it serves as space-saving biological treatment or pre-treatment of industrial wastewater on site. High performance affords a very compact design for new constructions of wastewater treatment plants. Its flexibility, highly structured, large active surface and high resistance against wastewater-specific chemicals make it to an excellent material for supporting the biological activity in wastewater treatment plants. Biotextile is applied in the biological area, mainly in aerated basins. The wastewater should be pretreated mechanically. A fine rack with maximum 6 mm rod distance is recommended. Furthermore, a grit chamber, grease trap and settling tank should exist. Mostly a usual secondary clarifier is installed downstream. 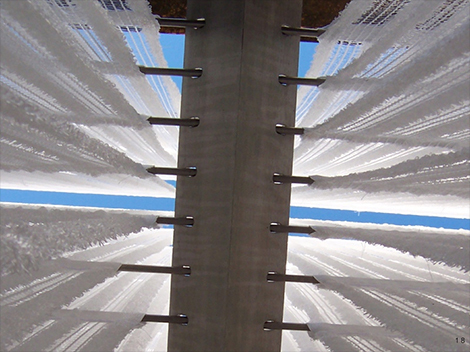 Normally the system Cleartec® Biotextil is operated as a combined system. This means that the suspended biomass, as at activated sludge treatment, as well as the biomass fixed on the biotextile, so-called sessile biomass, contributes to the cleaning capacity.